. استمتع بالخدمات الراقية والضيافة التي لا مثيل لها بهذا الفندق في أديليد. يمكن الاستمتاع بمجموعة من الخدمات على أعلى المستويات في الفندق كمثل واي فاي مجاني في جميع الغرف, تسجيل وصول/خروج سريع, تخزين الأمتعة, واي فاي في المناطق العامة, صف السيارات. بالإضافة لهذا,تتضمن كل غرف الضيوف مجموعة واسعة من وسائل الراحة . بعض الغرف توفر حتى تلفزيون بشاشة مسطحة, اتصال لاسلكي بالإنترنت, اتصال لاسلكي بشبكة الإنترنت (مجاني), غرف لغير المدخنين, مكيف هواء لإرضاء أكثر الضيوف تطلباً. سواء كنت من محبي الرياضة أو كنت تتطلع لتفريغ عناء نهار صعب، ستجد خدمات ذات مستوى عالي بانتظارك كمثل مركز للياقة البدنية, مسار جولف - ضمن 3 كم, حمام سباحة خارجي, غوص, صيد السمك. إن Comfort Inn Haven Marina Hotel هو خيارك لخدمة الفنادق الراقية في أديليد. The hotel room should not be allowed to be rented out, It was in a terribly run down state. To the point we were going to check out and go somewhere else, but they wouldn’t give out money back because we booked through you. I booked this motel by your site from the picture of the room and right up the accomodation. It said pool view. Joke no pool in sight just the back car park with the bins!!!! Absolutely disgusted trying to get through to you Agoda way to hard to get an answer. Will not use your website again unless I get some sort of reimbursement back from you. Pros: Room was clean, bed was comfortable, bathroom dated but clean, shower pressure OK after waiting a while for hot water. The area suited us for a pleasant locale with a short drive to the airport. Cons: Agoda pictures show Foxtel but it is no longer available (watched footy finals at local pub instead), breakfast restaurant showed opening time as 7am but it was closed. Reception bluntly said 8am is opening time on weekends without apology. my recent visit to this hotel was pleasurable, close to areas such as beach and restaurants, only turn off was in the morning when I was having breakfast , a group of local women coming in for coffee/breakfast after exercising, some proceeded to do stretches etc, in their tights, no consideration for others. very noisy, they may be regulars however consideration should be given to other patrons to enjoy breakfast without being exposed to this directly in front of me not impressed. Excellent older style Motel with modern restaraunt and Bar. Ths staff are very helpful with local advice. Close to The Glenelg Marina which has a large variety of restaraunts and bars. 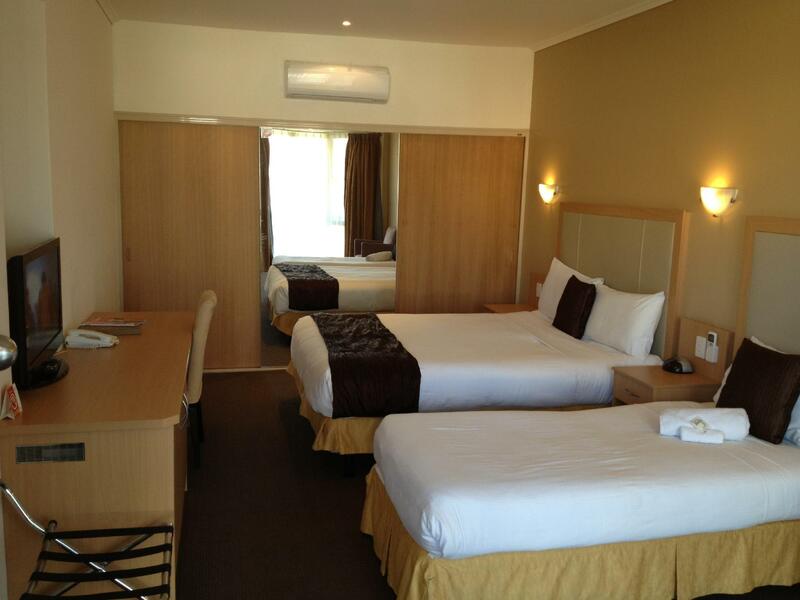 Went to Adelaide for the Clipsal 500. motel close to the tram for easy access to the city and racetrack. Pros - cheap, 5 min walk from beach, lovely and super helpful staff, black out curtains, bedding seemed clean. Cons- used toothbrush not taken out of bathroom, aircon wasn’t super effective, shower curtain instead of glass door, shower head wasn’t fully attached, funny smell evident, claw marks in the bed head.. Overall it meets the need of a cheap short stay but I personally wouldn’t stay here again. Great location close to Glenelg marina and shopping precinct, 5 minutes to jetty road, the hotel itself is a bit dated and is about to be bulldozed to make way for a multi story hotel and residential complex, the restaurant is open daily for breakfast but not lunch or dinner, staff were very friendly and helpful, i would stay here again if only for the location. I'm starting to think if you book through agoda you get the worst rooms. 3 cpls booked this hotel 3 rooms total only myself through agoda i was the only 1 to get a very old room the other 2 new renovated rooms. a very pleasant one night stay with all that one could need for comfort and location .......maybe not choose a west facing room in summer although they are the ones with the view of the marina. Special thanks to the front desk .. 10/10 for hospitality and local knowledge. Our visit to Adelaide was for my Father's funeral & the staff showed us so much dignity & empathy. I must mention Christine - she was so lovely (I rang the hotel straight after making the booking) & made sure we were comfortable (she upgraded us to a Marina View room) and allowed us to check-in early so we could get ready for the funeral. All the staff members we encountered were lovely, very friendly & showed much empathy. Our room was just what we needed & had a really nice view of the Marina while sitting up in bed. We were on the ground floor with parking right outside. The facilities, while dated, served our purposes & considering the great price we paid I couldn't have expected any better. 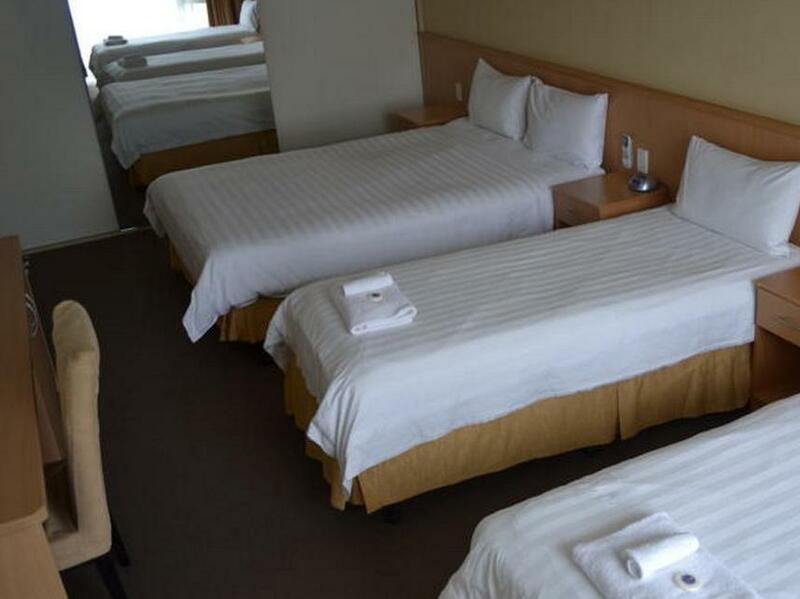 The beds were extremely comfortable and the free wifi was a good speed. We saw the plans for the rebuild in the foyer - exciting times ahead for the Comfort Inn Marina. All in all we had a great stay and will definitely return again in the future. The staff at this hotel are extremely friendly and helpful and the location is excellent too. 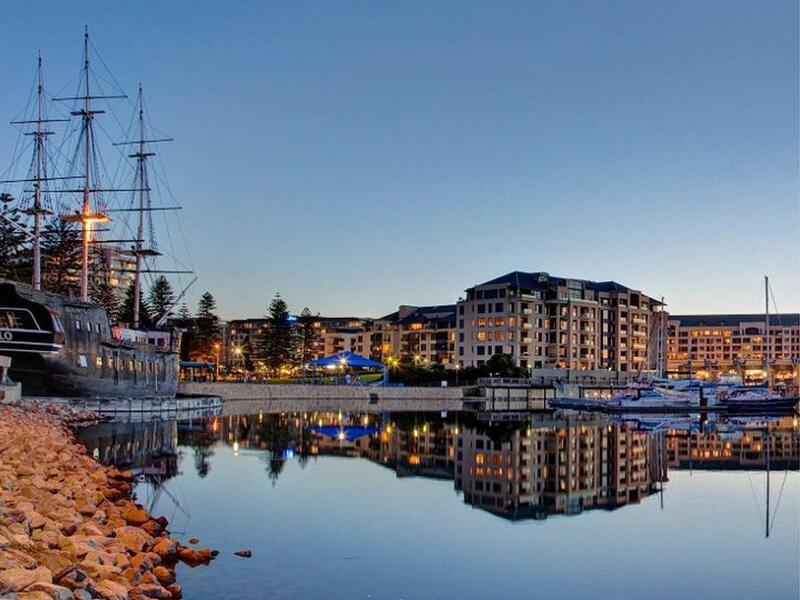 A 5 minute walk to the bay and 10 minutes to the main shopping area of Glenelg. I booked this place because of the feature photo showing a modern building with water in front and boats. I thought this building was the Comfort Inn. Very wrong. The photo is actually a photo of a block of apartments OPPOSITE the Comfort Inn. The actual facade of the hotel is among photos further into the sequence on the Agoda website. I thought the photo of the real facade/entry was the rear entrance of the building featured. Wrong again. I can't help but feel that the hotel is misrepresented by their feature photo. However the room was clean and spacious. If you like a hard bed then you'll be satisfied. The staff are fabulous. Very friendly and extremely helpful. Wifi is free up to 200MB. I stayed 3 night for business purposes. I typically stay on Glenelg Beach at one of the bigger hotels. But they were booked so I searched for another option close to the area. The photos online looked pretty nice, and they advertised marina views with some pretty nice pictures. What they failed to mention is that there's a busy road directly in front of the hotel, directly between the hotel and the marina. So all I could hear, even with the TV on and the windows close, was the traffic. Obviously in their photos "from the room" they zoomed in past the road so it wasn't visible in the pics. Very disappointed, as my sleep was terrible. Also the bathroom was VERY dated, I'm talking needed a renovation 20 years go. Ugly beige sink, tiles and shower. The grout was horrible and stained, mostly black. Looked like mold in the corners. Pretty poor water pressure in the shower. The exhaust vent above the shower clearly hadn't been cleaned in forever, as it was fully caked with dust. All this for only about $20 less expensive than the Stamford Grand on the beach, which is nearly immaculate. I won't be staying at the "Haven" again. We were welcomed by a friendly staff member. Our room was easy to locate on the ground floor making it easy to move our belongings into. It was a pleasant walk to downtown Glenelg and the Marina area. The rooms were well kept if a little old fashioned in its appointments.